Vivarelli There are 2 products. 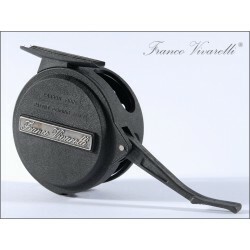 The Franco Vivarelli carbon fiber reel is extremely lightweight and is controlled with your casting hand. 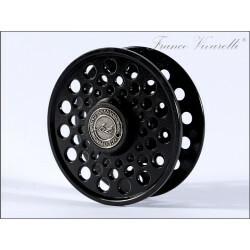 Just a pull of your forefinger and all the slack line will wind on your reel. Techanical parts are made of stainless steel and bronze. The drag can be adjusted with an allen wrench that is included.